Dear reader, I see we’ve stumbled into the dusky realms of Chapter 2! And I see Thompson is bound to once again find himself entangled in the monstrous underbelly of Echo City. Let’s all sit back and see what trouble he encounters this time. 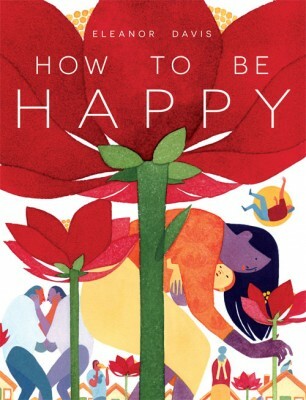 This month marks the release of an exciting book: How to Be Happy, by Eleanor Davis – who just so happens to be my wife. This short story collection, though decidedly NOT kid-friendly, is full of the beautiful, fluid art and deeply moving pieces that she’s been creating for the last few years. It’s an amazing book, and I couldn’t be more proud of her. I hope you consider giving it a look (assuming you are, of course, not a Kid.) 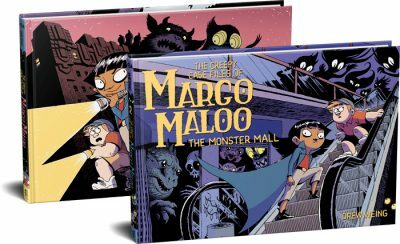 It’s available at your finer local indie book and comic stores, directly from the publisher, and, if all else fails, on Amazon. Ooh, just figured out what to get my sister-in-law for her birthday! My sister-in-law works at Kino, and is your wife’s former art teacher. I’ve been enjoying your web series, and had no idea, but suddenly, I made the connection. Small world! Thanks, Jennifer! I’ll have to mention that to her!